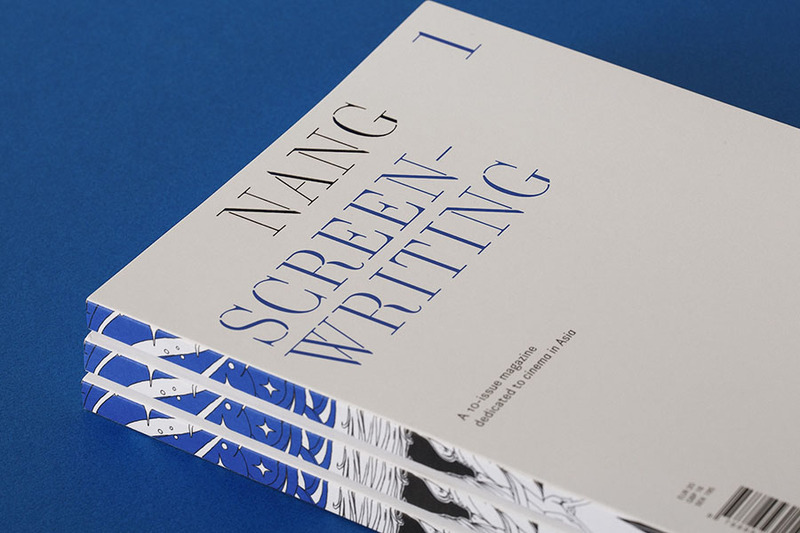 NANG is a print magazine that aims to become a repository of beautiful words and visuals, thoughtful analysis of and works related to cinema in Asia. Each issue is centered around a theme, and each issue is brought out in collaboration with a different group of people. NANG aspires to remain dynamic and ever changing. It continues to explore what film means in an Asian context. NANG is what we hope to become someday. Read below our interview with Davide Cazzaro, the publisher and editor-of-chief of NANG. We also asked Ben Slater to answer a few questions for us about his involvement with NANG, since he was the guest editor for the first issue which focussed on screenwriting. Your love for print and cinema has culminated in NANG magazine. When and how did your love for these two mediums begin? The love for cinema grew more and more when I was a teenager – I should thank my parents for this, they exposed me to a wide variety of films through the years. When I decided to enter university, I quickly settled on cinema studies. As for print, I have always had a fascination for it but up until 7-8 years ago I never thought I would have worked in publishing. My love for publishing – independent, small-scale publishing in particular – grew while living in London (the UK publishing scene is undoubtedly one of the most varied and vibrant in the world). 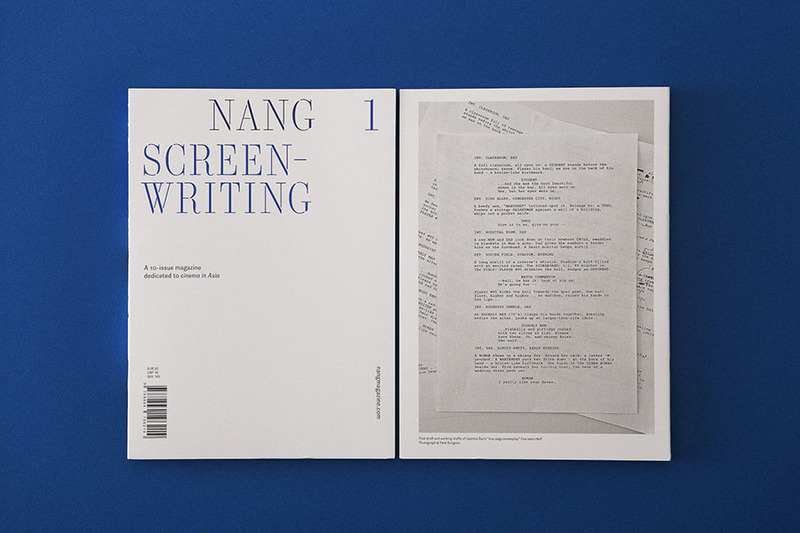 Have you worked with a film magazine or anything related to print or cinema before beginning the NANG project? Tell us about your journey with print and cinema. I worked on (mostly Italian) film magazines and books, but as a writer and editor rather than as a publisher. Then, between 2014 and 2016 I worked for a film festival in South Korea. There, I also started following the conception, organization and production side of print projects. Since then I cannot think of doing anything else but publishing. Too many to mention, I was inspired by both specific magazines and by the magazine form/format more in general. To name just a few titles, in no particular order: AFTERALL, LO STRANIERO (now stopped publication), WORKS THAT WORK (now stopped publication), SEGNOCINEMA, CABINET, OFFSCREEN, APERTURE. Why did you choose to focus on cinema in Asia? For two main reasons: part of my own background is in Asian cinema research and, perhaps more importantly, while cinema in Asia is more widely known now than, say, 15 years ago, there wasn’t a (non-academic) English language print magazine entirely dedicated to cinema and cinema culture from this region. I thought it was important to create a new source for writing and thinking about this – and do so by collaborating with a unique group of guest editors and contributors based both within and beyond Asia. Could you elaborate on your idea of NANG being paper cinema? Why did you decide that NANG would only have 10 issues? Can you give us a rough estimate of the number of copies you print of each issue? In more ways than one, everything has a beginning and an end so why not concentrating on how well – rather than how long – a publication lives…? I also concur with Peter Biľak, an editor and designer I respect a lot; in his editorial in the latest – and last – issue of WORKS THAT WORK, he stated: “I believe we should be intentional about designing ends as well as beginnings.” Also, it is my belief that having only 10 issues to make ends up sharpening our focus… We better make them at the best of our abilities! Issues are printed in limited runs and won’t be reprinted. We publish 1500 copies per issue. What do you think is the role or relevance of print-only magazines in the digital era? There is and there will always be space for well-developed, well-prepared and well-printed publications (magazines, books). They will live alongside screen-based materials and publications. The physical, tangible experience of paper and print isn’t going anywhere. In addition to this, what’s out there in print not only ages better but, in the long run, outlives web-based/digital materials… There is plenty of evidence for this and, in my view, the permanence of print is and will remain unsurpassed. How is the magazine funded, especially since you’re using high-quality paper from Sweden? Are the contributors and editors paid or do they do this out of passion? The magazine is self-funded. So you can imagine, it is difficult to make it work and achieve a healthy, sustainable publishing cycle. So far it has been working thanks to readers’ response and sponsors, but discoverability is still a bit of an issue; everyone involved is paid but budget is admittedly low and unfortunately there isn’t much that can be done about this at the moment. How has the reception to the magazine been so far? Is NANG more popular in specific countries? Reception has been positive but of course it is hard for me to give an objective comment on this. Yes, certain countries like Thailand, the USA, the UK, and Korea have shown a lot of interest towards NANG and this was (and is) very gratifying! Would you say anyone interested in Asian cinema is the target audience of NANG? What do you do to ensure the magazine reaches its intended audience? Finding reader/s is the single biggest challenge for a magazine – particularly indie magazines that cannot count on big marketing campaigns. I think anyone interested in cinema (not just Asian cinema), visual arts, and critical writing could potentially be interested in this publication. 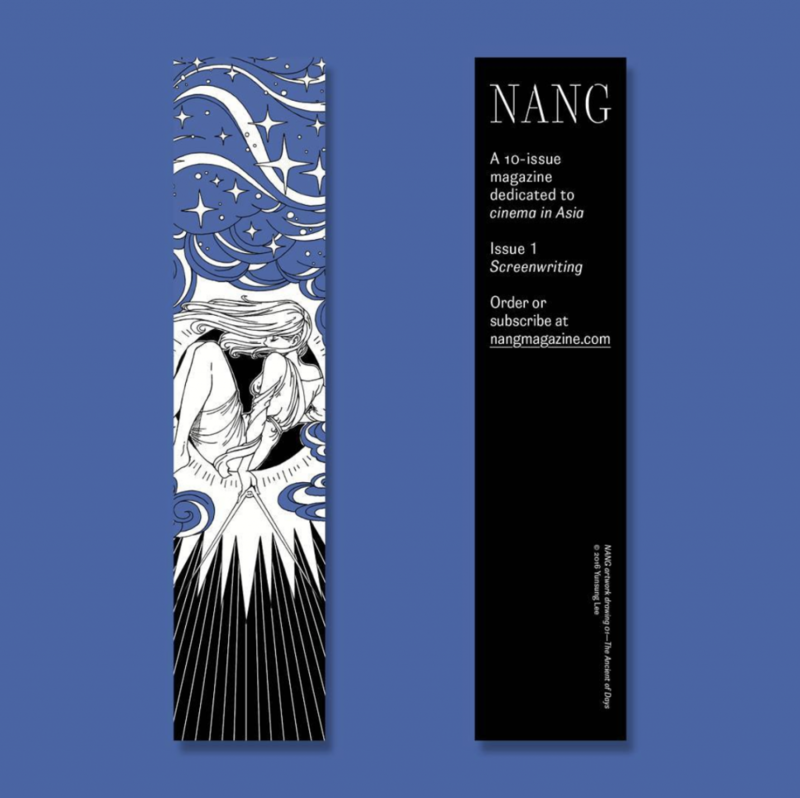 I try my best to promote NANG in a variety of ways – online, via live events, through shops, word-of-mouth, media coverage et al. This is a difficult, time-consuming and slow process, so it’s pivotal to believe in what you do and to ensure what you make is as carefully put together as possible. How is the content for NANG obtained? Do the editors commission writers or do writers send in their works? Guest editors commission all the pieces and shape a given issue. NANG is very much a collaborative project and editors are part and parcel of it. They are granted all the creative leeway they need in the construction of issues, without fear of making mistakes. Usually I am not involved in the commissioning phase and, whenever possible, I try and take a step back so editors can work in complete autonomy. Are you picky about fonts? How did you choose the fonts for this magazine? Yes, I am picky about fonts and I have the good fortune of working with designers and art directors – Shin Haeok & Shin Donghyeok – who are equally picky. We discussed about this but it was them who made the final choice regarding fonts. Same goes for the overall design and identity…you’ve got to trust the members of your team! 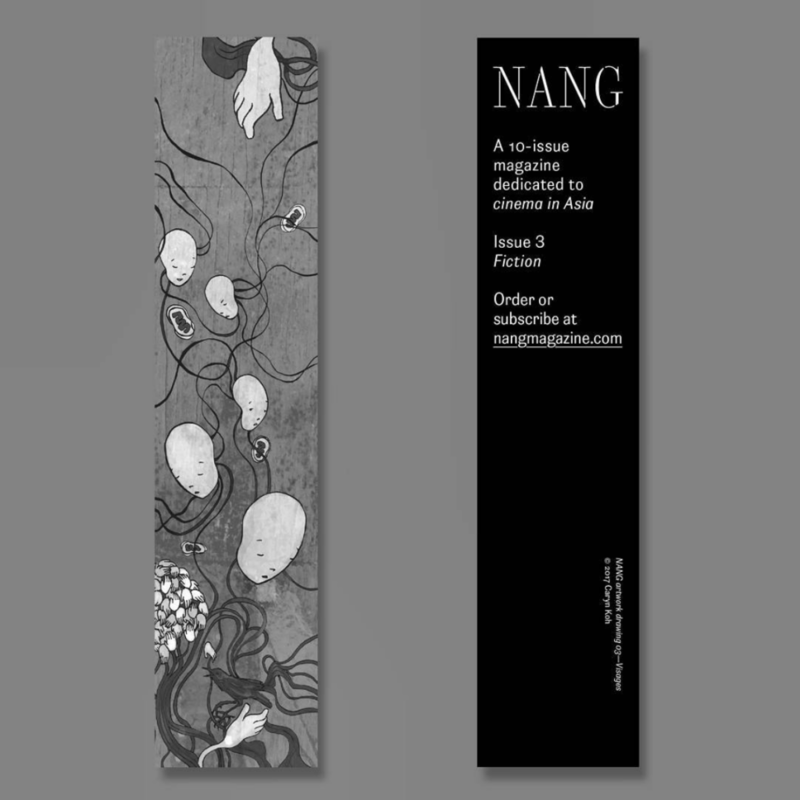 We love the bookmarks that come along with each issue, designed by Yunsung Lee. Why did you choose to work with him? What was the brief he was given? Each bookmark is prepared by a different artist. Yunsung Lee was chosen for Issue No. 1 in collaboration with the art directors. In the case of following issues, the process was different. 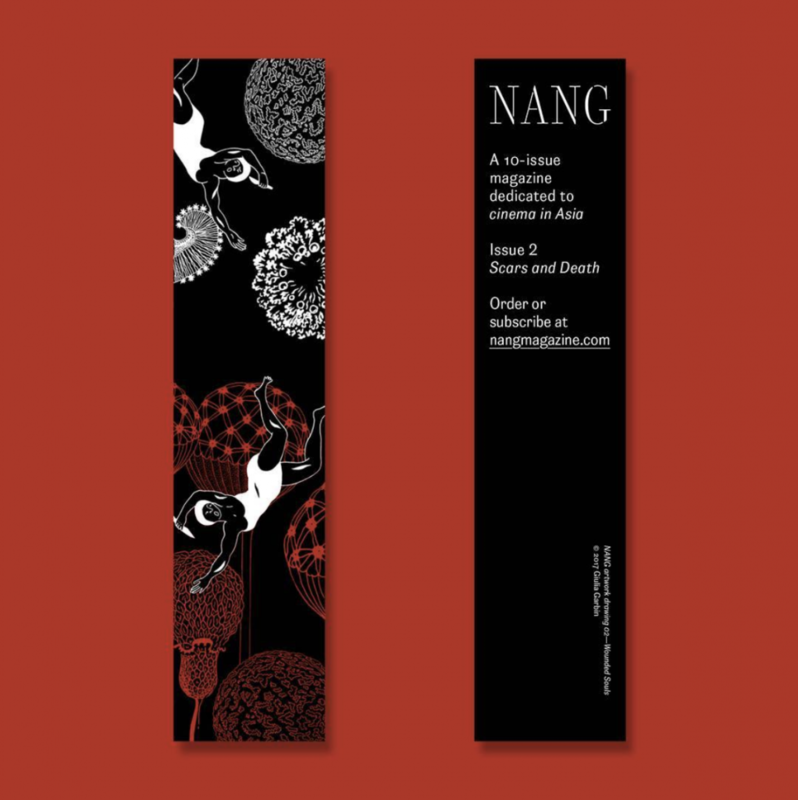 Renderings of our three bookmarks to date have been made available via Instagram. Here, here and here, respectively. As the publisher and editor-in-chief, your primary responsibility is that of a collaborator. What makes a fruitful collaboration? What do you do to enhance the collaborative process? Let me begin by saying that collaboration – and fruitful, stimulating collaboration – is key. But it’s only part or, even, the result of a few crucial tools that every publisher should keep at hand. Passion (which, ultimately, translates into hard work), good instinct in choosing your team and the strongest belief that the project you are working on is worth your (and other’s!) time, efforts and money are of pivotal importance. In the case of NANG, the collaborative process tends to change quite a lot every time given that we deal with different guest editors and collaborators. When everyone enjoys reading what is to be published and enjoys all aspects of the final, published issue… that’s what makes a fruitful collaboration and that’s when you can be sure you made the right choices. In what ways do you use social media to promote the NANG project? Is there a line you’ve drawn between things you’d do and not do, while promoting your magazine? 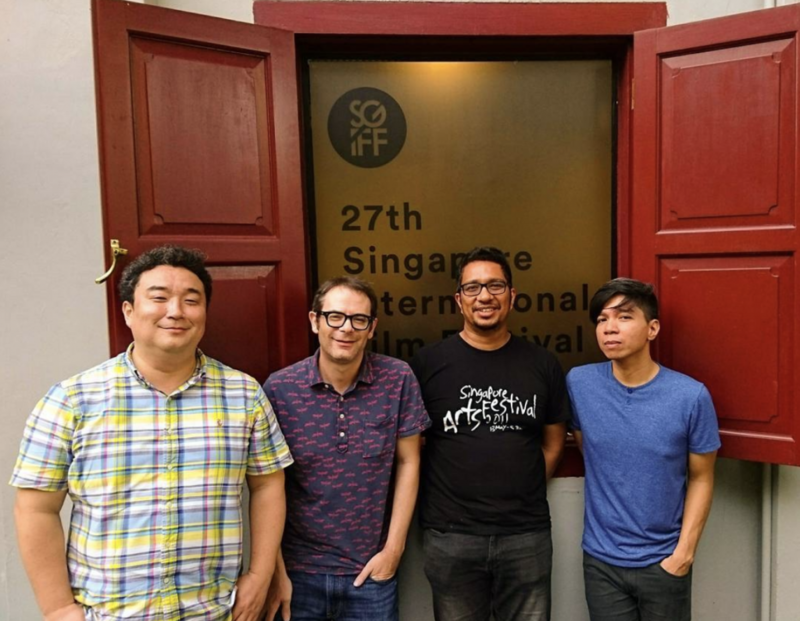 What role have film festivals or events like the Singapore Writers Festival played in helping NANG reach its audience? In-person events are very important and I am truly grateful to those organizations, bookstores, et al. which are interested in including NANG in their programs. Talking to readers and hearing what they like (or dislike) about the magazine is also very important; myself and other collaborators are always open to suggestions and feedback so as to make the magazine as interesting and engaging as we possibly can. Too often publishers tend to forget that without a reader, a magazine – indeed any text – just isn’t. What was the most important lesson you learnt that has had a positive impact on NANG? How did that happen? Perhaps “find your readers” and “make it financially sustainable/viable” are the two most important lessons I have had to learn… or actually I am still learning… Such lessons happened, as they often do in this business, by trial and error and by asking for advice to those publishers you respect and admire. In each issue, there’s a nice interaction between the current issue’s editor and the editor(s) of the next issue. How did this idea come about? This particular idea came about while working on our pilot Issue 0 – and in particular when I interviewed Ben Slater (guest editor of Issue 1). We discussed about the interview as a whole and the possibility to do this for every forthcoming issue. If I recall correctly, it was Ben’s own suggestion, actually! Such interviews are a bit complicated to organize given that editors are based in different countries/continents but I really enjoy them and I hope readers feel the same. There’s a line in the end credits section of the first issue. “The Nang magazine project is dedicated to the memory of Nika Bohinc and Alexis Tioseco.” If you’re willing to talk about it, could you tell us a little about them and why you chose to dedicate the project to them? Well, I have had the privilege of meeting them on few occasions in Asia and in Europe and, like many others, I was most impressed by them and by their love for film, film culture and film writing. Their horrendous, tragic death in 2009 left us poorer and we’ll always miss their voices. The minimum I could do when starting a project like this was to dedicate it to them and their memory, trying in this way to maintain a connection to them and paying respect to their inspirational work. Rather then saying more about them I would like to suggest a recent book by Laurel Fantauzzo, The First Impulse (Anvil Publishing, 2017) – a must read. What would your advice be to someone (like us!) who wants to start a film magazine or has just begun such an endeavour? (1) Find a way to develop a unique project rather than creating an imitation (or a local version) of what is already out there. (2) If you choose print, remember that you’ll constantly need to move items from A to B… and that’s easier said than done. (3) Take risks (if you don’t at the initial stages you probably never will). (4) This is something that requires way more time and effort than you can imagine. (5) Despite all the challenges and physiological pains, make sure you have fun working on this. If you do, the final publication will be so much better in any way. How did you get to know Davide Cazzaro? What made you accept his offer to edit NANG’s first issue? I first met Davide in Manila during the Southeast Asian Cinemas Conference in 2008. Afterwards we spent the day together driving around Manila with May Adadol Ingawanij and the late Alexis Tioseco, which turned out to be quite an important event in our lives. That evening we came up with the idea of doing an issue of Alexis’s online film journal Criticine publishing “love letters” to aspects of Southeast Asian cinema. Alexis was murdered with his partner Nika Bohinc in 2009, and after that, May and myself completed the issue. Strangely enough, the three of us next met again in 2015 when Davide proposed the idea of NANG (a 10 issue independent magazine dedicated to Asian cinema with different editors for each issue) and then asked us both to consider editing an issue. Davide assured us that he’d give each editor or editorial team complete freedom. Over the last few years I’ve been trying to avoid editing publications or doing critical writing because I’m trying to focus on creative writing, so I pitched to Davide that we dedicate the issue to Screenwriting in Asia. That way, I could learn more about screenwriting and not feel so bad for procrastinating from my creative work! Amazingly, Davide agreed. It’s worth noting that every issue of NANG is dedicated to Alexis and Nika. How involved was Davide in shaping the magazine’s content? Were there others you brainstormed or collaborated with? What did they bring to the table? The magazine evolved mainly through conversations with Davide. I had a very clear idea that I wanted it to be interviews with screenwriters, because in Asia they are so rarely heard from, and if we read interviews with writer/directors, they are hardly ever asked about their writing process. Davide’s major contribution was in pushing me to make it more visual, because he knows that a big part of the world of indie publications is their design and images. In terms of other people who helped me, the major one was critic/festival programmer Maggie Lee, who connected me with several of the writers included in the issue. I have to give credit to Maggie, because she is one of the most knowledgeable people on the planet about Asian cinema. What’s the rush you get out of being a film magazine’s editor? What are the qualities you value in the editor of a film magazine? Davide was aiming for a very beautiful publication of high quality in terms of paper and printing, and I have to say that as we came closer to publication it was exciting to realise the physical form all of this work would eventually take. Primarily an editor needs to be a good communicator, both in terms of how they deal with all the people they are working with in making the publication (contributors, designers, publishers, subjects, etc) and the readership who will eventually discover the work. In this instance, the great luxury was that Davide took on most of the logistics, leaving me free to deal almost exclusively with the content. That’s a very rare and privileged situation, and I’m very grateful for it. What do you think is the role or relevance of print-only magazines today? There’s a certain aspect of the print-only magazine scene which is about fetishizing design, image reproduction and paper quality in ways that are obviously not possible online. It’s a tactile experience, and we’re nostalgic for that. If I was being cynical I could say it belongs to a kind of hipster-analog cult that also worships vinyl and VHS tapes. However, the Book (and NANG is a hybrid of magazine and book), even though it was invented over 4000 years ago, is still the best ‘technology’ for reading long-form that exists. It’s portable, durable, easy to mark your place, pleasurable to collect, you can read it forwards or backwards, write in the margins, or throw it across the room. Physical books are not going away anytime soon because they work. Apart from screenwriting, were there other ideas/themes you considered for the first issue? Not at all. I had only one idea! How did you choose the screenwriters you wanted to work with for the first issue? Mostly through working with contributors from each country. I contacted them and asked them to suggest subjects to interview. Some of them knew the interviewees well, some of them were approaching people they didn’t know through their own contacts. I had a brief about the kinds of interview subjects I wanted, which evolved as the magazine was developing. Sometimes they’d send me several possibilities and I’d indicate which ones I was more interested in. I was initially after writers who were mainly writing for other directors, rather than writer/directors who wrote for themselves, but that wasn’t always possible, and I had to accept that there would be a fair few writer/directors in the issue, because that’s the way the industry leans, especially in Southeast Asia. We noticed the issue has excerpts from actual screenplays, even retaining the texture of the original document. How did this idea come about? How easy or difficult was it to procure the screenplays and the permission to reproduce them? Originally I had the idea of publishing sections of ‘marked’ screenplays, with notes from the screenwriters commenting on the pages, but that was too complicated because it would be tricky to translate the original screenplay and the notes and find a way to present that to the reader that made sense, so we went with a simpler idea of publishing extracts and not translating them. Every year when Oscar ‘season’ is approaching film companies in the US put the supposedly-best screenplays of the year online as free PDFs, so it’s very easy for a young screenwriter to see what an American or British screenplay looks like, but much harder to see what a screenplay from South Korea looks like, or from Thailand. This was a chance to get screenplays from Asia out into the open. This is very specific to screenwriting, because it’s always written in a technical format, which makes it a unique type of creative writing, and it means that even pages not in English are fascinating to fellow screenwriters. And as we can see from NANG Issue 1, they don’t all look the same. In almost all cases the writers were very happy to send us pages, and since we were publishing only a few pages, they were quite comfortable about letting us print them. Some of them checked with their respective production companies to ensure it was OK, some of them had the rights themselves. There was only one writer interviewed who wasn’t enthusiastic and didn’t pass us any pages. You’ll have to read the issue to figure out who it was! Do you find yourself feeling ticked off by what you commonly observe in film magazines these days? Is there something you tried to subvert/avoid/rebel against when you were editing the first issue? I kept the Screenwriting issue of NANG deliberately very simple and focussed. It’s a series of interviews with a brief introduction by the interviewer which was supposed to be quite objective and short. I wanted to hear about how things are made and people’s personal processes and struggles. A lot of people criticise interviews because they find them boring or an ‘easy’ way to fill space, but when they are conducted and edited well, I find them fascinating. There’s a lot of great, ‘secret’ information buried in interviews. We’re drowning in opinions and critical takes these days and I saw no reason to add to that pile. There is a print magazine out there, which I won’t name, which is beautifully produced, and I got hold of an issue before we started on NANG to check it out, and it was unreadable. I couldn’t finish a single article or review. It was full of indistinctive opinions written by mediocre writers. I don’t need to buy a magazine for that, I have the whole internet! Do you have personal favourites when it comes to screenwriters? What do you like about them? It goes without saying that this is an impossible question, but I’ll rise to the challenge and offer up Wai Ka-Fai, who’s written over 20 feature films in Hong Kong, most of them for Johnnie To’s production company Milkyway. We tried and failed to get him for NANG. He’s written comedies, horror films, comedy-horror films and of course brilliant thrillers like Mad Detective, Drug War, Vengeance, and Full-Time Killer, which he co-wrote and co-directed. To be able to have so many scripts produced, of such consistent quality, and to have moved between so many genres, is truly awe-inspiring. What about film magazines you like (both print and online)? Why do you like them? The only two film magazines I subscribe to are Film Comment, which isn’t quite as good as it was a decade ago, but it’s still pretty sharp and publishes some of the very best American writers, and Cinema Scope, which is always illuminating (full of filmmakers you’ve never heard of) and provocative in a good way. What would your advice be to someone (like us!) who wants to start a film magazine and has just begun such an endeavour? Firstly, I would say something similar to the advice I gave for people starting a film festival in my other interview with you, find a focus and be personal. Don’t try and be like other magazines or other writers. Don’t try and sound like you know more than you do. Allow us to enjoy your or your writers’ process of discovery. Also: don’t publish reviews of new releases from Hollywood or Europe, the world does not need any more of them! Alexis had the right idea when he began Criticine. He wanted to dig deeply into one specific area that very few people were covering. There is enormous value in that. Roger Ebert on Alexis Tioseco and Nika Bohinc. Accessed on Jan 6, 2018. We would like to thank Davide Cazzaro and Ben Slater for patiently and thoughtfully responding to our questions. All images belong to NANG magazine. They may not be reproduced without permission.